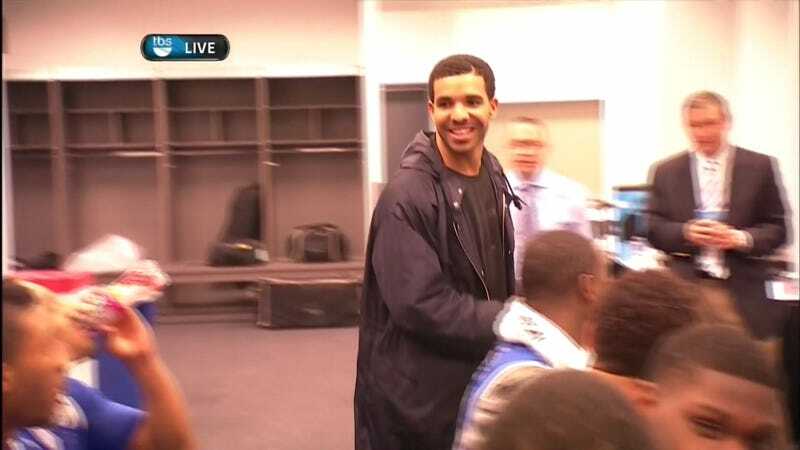 For whatever reason, Drake was in the Kentucky locker room after the Aaron Harrison show kept rolling tonight over Wisconsin. After his appearance in the locker room, Matt Porter of the Palm Beach Post asked him how long he had been a Kentucky fan. His answer? "Always." Good times for Kentucky and Drake, but where is Ashley Judd?